The burning of fragrant herbs, berries, roots, and resins for the purpose of ritual and holistic benefits has likely taken place cross-culturally and cross-historically since the invention of fire. Incense burning in its various forms emerged independently in the geographically isolated regions of the great river valley civilizations between 5500 and 2500 BCE. The most distinct lineage of incense making belongs to the Indus river valley, which is credited with having formulated the first unified and codified system of incense making, the earliest mention of which is found recorded in the Vedic texts of India dating back to 5000 BCE. The burning of various resins mixed with paste and other perfume ingredients was originally used to mask odors and create pleasurable smells, a practice which eventually gained a ritualistic connotation as these uses became associated with funerary rites and religious offerings. 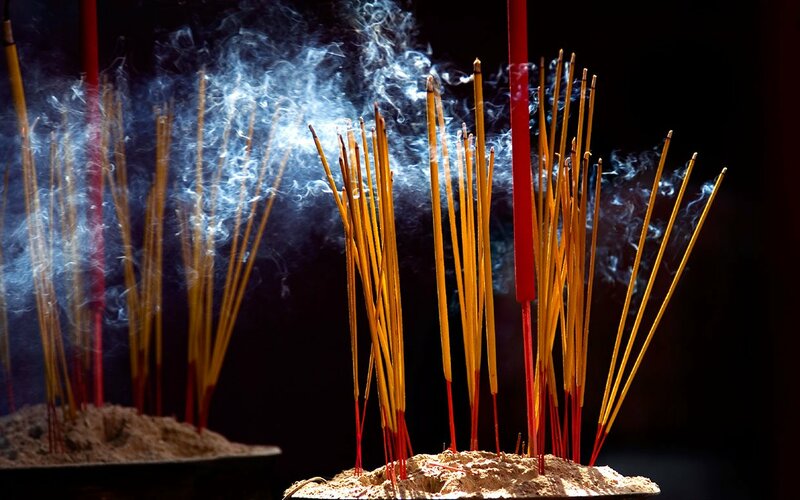 As it became associated with ritual use, incense making was adopted by the educated monk caste of Indian society. This monk caste realized that the aromas cast by incense had healing properties, resulting in the development of the first forms of Ayurvedic medicine. This system classified the ingredients used in incense into categories of the basic elements: water, earth, fire, air, and ether. According to ayurvedic principles, dis-ease appears in the body when an imbalance among the basic elements in the body occurs. 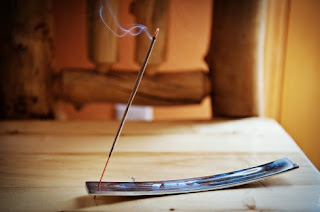 By burning incense containing ingredients pertaining to a particular element, energy levels of that element will shift in the body, moving towards somatic homeostasis and balance. 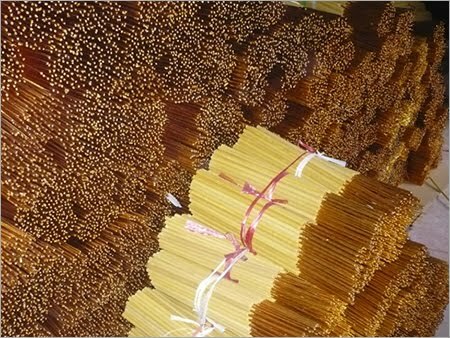 Over time the Indian incense-making technique was refined and perfected. 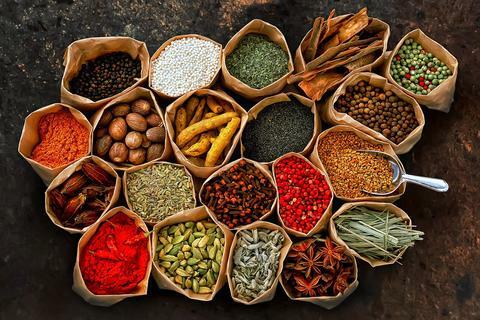 Only quality, monk-cultivated ingredients were harvested for incense making. 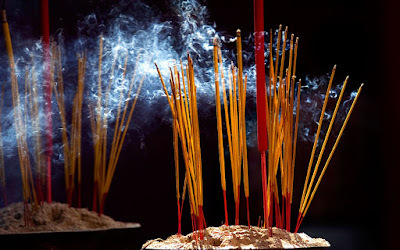 The binding paste necessary for holding the incense together is made from charcoal dust and joss powder-an adhesive made from the bark of the soft bollywood tree. The binding paste is then blended with the powder of ground perfume ingredients called masala. Finally, a bamboo stick, a tool used in India, is rolled into the masala and is allowed to set. 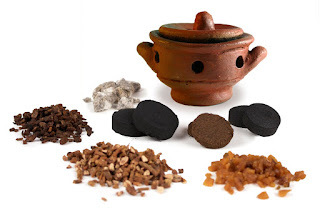 This perfected form of incense-making remains intact to this day, however, the historical processes of industrialization and globalization have, in many cases, compromised the integrity of the holistic value of incense production. Too often impure ingredients containing herbicides, pesticides, and environmental contaminants are introduced to the market from companies who do not follow the guidelines of Ayurvedic concern. Brands such as Organic Nag Champa, Tibetan Om, and Pure Incense have maintained the centuries of traditional incense-making tradition, offering hard-to-come by scents such as Blue Lotus or Essence of Moldavite. Each stick is hand rolled with consciousness and infused with Vedic blessings. Free from exploitation and animal by-products, this temple-grade incense is the perfect supplement to a holistic healthcare practice and works wonders in enhancing the ritual element in any ceremony.